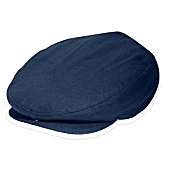 Have you got the Blues for your dapper lad? 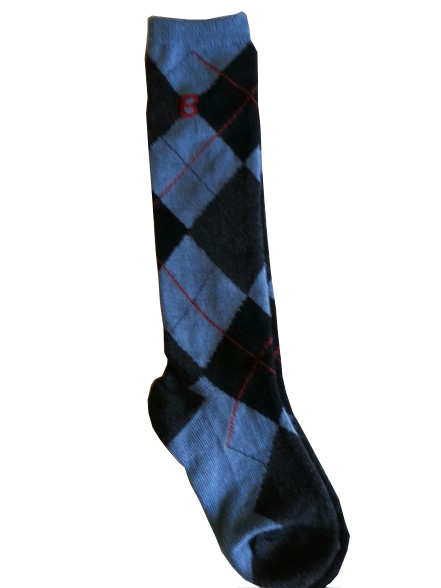 **Back in stock** Golf pattern cotton knee socks in chambray blue, gray and black argyle diamond pattern. A burgundy line and letter B at the top of the socks provide accent. 70% cotton. Great with shorts or knicker pants. Super old fashioned golf look! The socks are sized for ages 1 - 3 years and 2 - 6 years. .